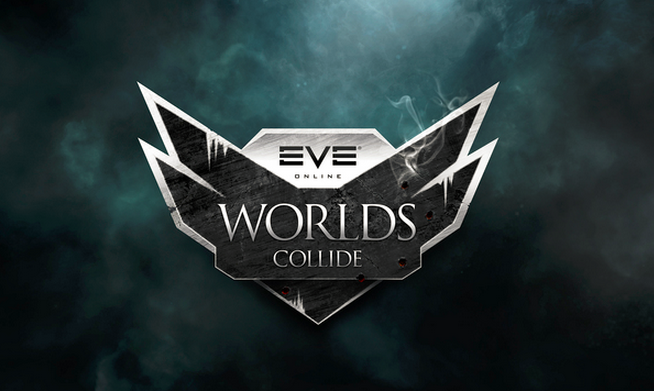 Unless you’ve been living under a rock for the past few months, you will likely have heard of Worlds Collide, an E-sports event hosted and heavily promoted by CCP to be the headline event for Fanfest 2015. CCP significantly raised the stakes for this tournament by offering a special edition ship as a prize for the event, the Victorieux Luxury Yacht. But instead of merely awarding the prize ship to the members of the winning team, as in CCPs flagship E-sports event The Alliance Tournament, CCP awarded the prize ship to the server of the winning team with a statement that the losing server would never receive the ship. The yacht itself is a fantastic addition to the ship roster in EVE. It’s a cloaky, bubble-proof cruiser hull with a fast align time and a 1/3/3 slot layout. There is nothing like it presently in game outside of a cloaky nullified Tech III cruiser. So which alliances were chosen to represent the two Eve Online server shards? Camel was chosen to represent Tranquility after winning the Twelfth Alliance Tournament. They are prolific small gang PvP:ers and tournament pilots having flown in ATXII, NEOII, and ATXI. What is most surprising about Camel, is that they started as tournament nobodies that few had heard of, and rapidly ascended to come second in NEOII (as Thingy) and winning ATXII last year. The Camel roster is as follows : Niart Gunn—Team Captain Eshnala Sturm Gewehr F4bske Water Ubersnol You can find out more about Camel in Apothne’s interview with them here. Outside of the unique server vs. server fight, Worlds Collide was interesting for a number of reasons. Instead of using the regular Alliance tournament format, CCP came up with something special and produced an extremely intriguing set of rules that spiced up the fights somewhat, which increased hype about the event. In a normal alliance tournament, a team can have as many setups as they want. They are also free to modify them as they wish between matches, and consequently they have no idea what the enemy team is going to field. Additionally, AT allowed you to use whatever ships you wanted as long as the point value of a ship was within the prescribed limit, and you had three at the most of them in a setup. In WC, all of your cards are on the table. After the rules were announced, teams had about two to three weeks to come up with seven setups to use during the tournament. Added to this was the fact that within your seven setups, you could only use a ship hull twice. Once you had used that particular ship, you could not use it within any other setup in the tournament. Normal AT ship banning was not present in Worlds Collide at all—instead being replaced with a setup banning mechanic. Out of the seven setups, teams had to submit two, which could be banned in advance, and could not be fielded at all during the tournament. Also, if a team won a match with a setup, that setup would also be banned and could not be used for the rest of the best-of-five format. The final deviation that WC had from the AT rule set was to outright ban Tech II, faction drones and marauders from being fielded by either team. The drone restriction meant that all ships could only use Tech I damage, logistic or EWAR drones So all these rule changes had some really interesting ramifications on theorycrafting for both teams. The AT meta of the last few years has been heavily focused on drones or drone counter setups. With Tech II drones and Geckos banned, these setups were significantly weakened as Tech I drones are slower,have less hitpoints and do less damage overall. There are only really a few completely broken drone ships in a tournament context, and having a rule that you cannot use the same ship in multiple setups means that you are extremely limited in your choices for your overall setup pool if you want to pursue a drone heavy team. In fact, these rules had interesting ramifications for “overpowered” ships in general, as you had to spread them out within the seven setups or risk them being banned by the enemy team. In addition to this, you still needed to keep a strong pool of setups because as you win matches your pool shrinks one by one. For the final match of the tournament, out of the seven setups they theorycrafted, Camel could only choose from three setups. So what did the teams actually come up with after these fairly stringent rules? Camel Setups: Setup #1: Rook, Basilisk, Caracal, Caracal, Celestis (BANNED) Setup #2: Widow, Scimitar, Flycatcher, Flycatcher, Keres (BANNED) Setup #3: Eos, Ishtar, Ishtar, Navitas, Navitas Setup #4: Sleipnir, Broadsword, Curse, Burst, Burst Setup #5: Astarte, Phobos, Exequror, Heretic, Heretic Setup #6: Damnation, Oneiros, Confessor, Confessor, Maulus Setup #7: Absolution, Guardian, Sentinel, Blackbird, Ishkur COA Setups : Setup #1: Orthrus, Orthrus, Confessor, Crow, Vagabond Setup #2: Gila, Gila, Worm, Worm, Scimitar (BANNED) Setup #3: Widow, Widow, Daredevil, Daredevil, Taranis Setup #4: Ares, Typhoon Fleet Issue, Typhoon Fleet Issue, Merlin, Merlin Setup #5: Oneiros, Enyo, Enyo, Vigilant, Vigilant (BANNED) Setup #6: Stiletto, Rifter, Hyperion, Hyperion, Caracal Setup #7: Keres, Cynabal, Cerberus, Cerberus, Malediction Both of these setup pools show quite differing philosophies when it came to the challenge of theorycrafting for Worlds Collide. Camel are very well known for bringing lots of damps in a tournament context, and do not disappoint here. With two low damage setups consisting of bonused damps, ecm and logistics, Camel aimed for a control meta to shut down the enemy team, and slowly chew through their ships while tanking any incoming damage that isn’t countered by the damps or ECM. The Eos and Ishtar setup was a more traditional drone kiting comp that simply aimed to damage its way through the opposition, while trying to mitigate as much damage as possible via the Navitases and damps. The Sleipnir-Broadsword setup is a strong brawling comp with a Curse to shut down the enemy tank, and logistics frigates to increase survivability. The Astarte setup is a long range light missile and railgun platform with lots of unbonused damps to shut down the enemy team. It also played the metagame a bit as from first impressions it looked like a close range blaster setup, proving that even though both teams have a list of the others setups, that doesn’t mean you are going to get what you expect! The Confessor setup is a long range damage comp that utilises the flexibility brought in by the new Tech III destroyers. The final Camel comp is a bit of an oddball with a mix of neuts, ECM, and a beam Absolution for damage. COA brought a very interesting and unique pool of setups compared with Camel. In most alliance tournaments, people eventually come to the same general conclusion of what is strong and not strong within the context of the tournament. But COA were a wildcard coming from a completely different server, different culture, and a different way of thinking; the following setups reflect that. The first and seventh setups are very similar in that they are rapid light missile launcher ASB tanked kiting teams with a Minmatar cruiser for heavy tackle and frigate support. The Cerb setup is slightly stronger than the Orthrus setup due to having the Keres present, but it looks as if both ships had similar roles. The second COA setup was a Gila/Worm drone damage comp similar to what a wide range of teams fielded in ATXII. The Widow setup was a strong ECM team with a high damage frigate wing. Talking with COA after the tournament, it was discovered this setup was ban bait alongside the Gila setup, and was never intended to be flown at all. Setup #4 is arguably COAs strongest, two very mobile hull tanked Navy Typhoons with lots of neuting power and Rapid Heavy Missile Launchers for projection and frigates for tackle. Setups five and six were similar; they were both blaster rushes, but the Vigilant/Enyo comp relied on its logstics ship for reps, while the Hyperions in setup six had large active tanks and could take care of themselves. Overall, COA showed a bias towards having either large buffer or active tanks in their comps combined with lots of damage, and very little control outside of the Widow comp. Both teams had a fairly simple banning strategy that they revealed after the event. Camel banned both the COA comps that contained logistics ships meaning they simply would not have to deal with reps anymore. COA banned both of the Camel ECM comps, as one of them was only a 44 point setup. They felt that if Camel was willing to bring 2 similar setups, one of which was under points, then they needed to ban that concept entirely. 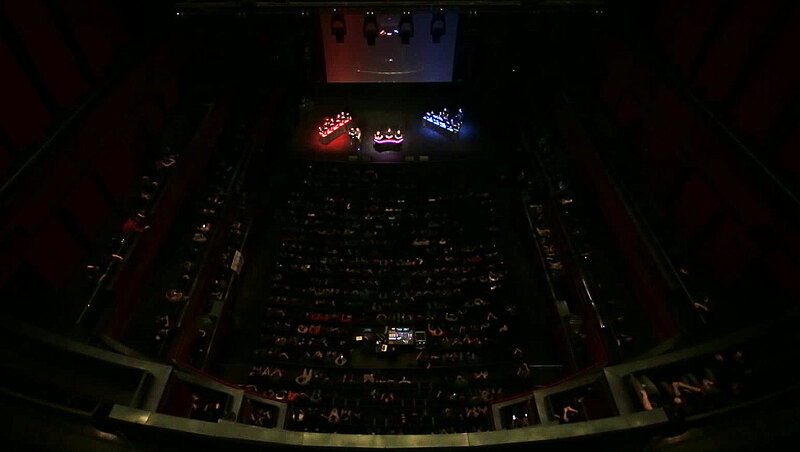 The Worlds Collide tournament took place during Fanfest on the Eldborg stage inside the Harpa in Reykjavik. If you missed the whole thing, you can watch it here. In terms of production, it was one of the coolest things I have ever been a part of. CCP Gargant and the rest of the dev team put in an incredible amount of effort and resources into making the production a success; barring a few technical difficulties and delays, the whole thing went pretty well. Rising up out of the smoke with the trinity music blaring in the background to a room with 1500 people was one of the scariest/most awesome things I have ever done as I was honoured to be included in the event. Anyway, enough about me, onto the matches. Camel : Astarte, Phobos, Exequror, Heretic, Heretic COA : Stiletto, Rifter, Hyperion, Hyperion, Caracal The fourth match in the series was one that COA needed to win otherwise they would be out of the competition. Equally, Camel needed to win this one to take the whole series. Camel brought arguably their strongest setup with a lot of long range railgun damage and damps. COA brought their Hyperion setup having correctly hypothesized that Camel would take the Astarte setup. In theory, the Hyperions should be able to beat the Astarte/Phobos in a brawl if both were blaster fit, but since they were rail fit, COA ended up having a very bad time. Camel started the match by primarying one of the COA Hyperions to see if they could break him. Camel stuck as a group during this, with COA trying to charge in with the battleships to try and tackle something. The Hyperion bait tanked for a bit, and then held with the Camel team receiving no damage in reply. Both frigates on the COA side tried to approach the Camel formation with an eye to try and tackle something for the Hyperions, but were volleyed by the railguns and light missile launchers on the Camel team. With the frigates dead, Camel went to work on the first Hyperion forcing it out of the arena. With the Hyperion over the boundary and destroyed, Camel finished off the Caracal and the last Hyperion to take the last match of the series. 3-1 Camel Wins! Worlds Collide was a super fun event for me personally. The rules were interesting and brought about some really fun matches for people to watch. I have always been a huge fan of EVE as a live “sport”, and my experiences at both EVE_NT and Worlds Collide have led me to believe that people will watch “EVE-sports” as long as they have some kind of investment in the matches, whether through betting or a free ship hinging on the outcome. At WC, you could hear the crowd really getting invested in the matches with oooohs and aaaahs coming every time a ship took a lot of damage or died unexpectedly. CCP has made it clear that the ball is in the players’ court to grow these kind of events, and I hope to attend or be part of them in the future.